You are currently browsing the category archive for the ‘Salmonella’ category. 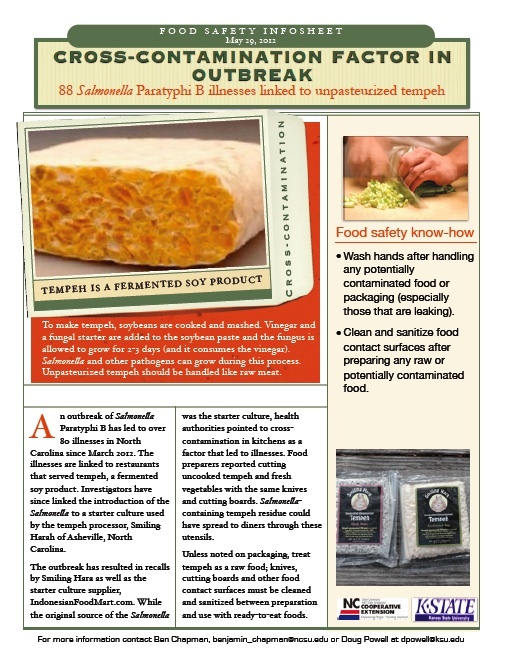 – Ask suppliers about pathogen control measures. – Cook all poultry to 165°F, measured with a digital tip-sensitive thermometer. – Because raw eggs can carry Salmonella, use pasteurized eggs as a replacement in dishes such as custard. – Clean and sanitize equipment between use to avoid cross-contamination when working with eggs. – Know which products contain raw eggs and refrigerate to reduce the potential for Salmonella growth. – The recall covers eggs in their shells packed by Wright County Egg between May 16 and Aug. 13. – Eggs can carry Salmonella and need to be cooked to 145°F for 15 seconds to reduce risk.